My recent personal reflections have all been about technology. I have struggled to get on board with all of the things my colleagues are enjoying. I have tried Facebook, My Space, blogging, wikis, Diigo, and Chatzy. None of these have made a life changing impact for me. I can see all of the ways that they will help students; I can discuss possibilities and offer suggestions that are viewed as exciting and helpful to teachers, but I just haven’t made the personal connection. On the Teacher Leaders Network I read The Experience Factor by John Norton and wondered if my age is really the primary factor causing my lack of interest. John’s article and the comments that followed helped me recognize that I don’t have to get as excited about these things as my younger colleagues. I have a great deal of experience and many positive suggestions to bring to any education conversation; maybe technology wasn’t going to be my thing, then, I Skyped. Skype changed my entire perspective. Skyping gave me a personal connection that was missing before. The very best thing right now is Skyping with my grandbabies and for them this is now common place. My babies are two and five, I can’t even imagine what they will be doing with technology when they are in middle school. I am older and many of the technologies feel fake to me. In reality many comments or suggestions could be faked. People can use someone’s name, they can grab someone’s comments and claim them as their own. 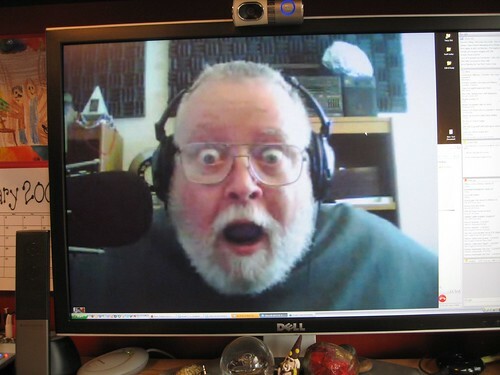 When I Skype someone I see their body language, their facial expressions. I hear their changes in tone, sadness, excitement. This is real to me and exciting. I am now considering an iPhone, which is a big step for me. I’m not sure I want instant email. I think about work all the time as it is, do I really want to get work related emails regularly? Then again, do I want access to all the apps? The possibilities are getting better and better. I wanted to share my experience because I didn’t give up. I finally found a way to enter this new and exciting world and I know I will continue to like some of the new technologies but not all of them. That is OK. I would like to hear from others that are struggling and what we can do to help each other. I know this stuff is here to stay and I’m planning on staying for a long time as well. I’m off to skype my babies and think some more about the possibilities of an iPhone. This entry was posted in Blog and tagged blog, technology. Bookmark the permalink.